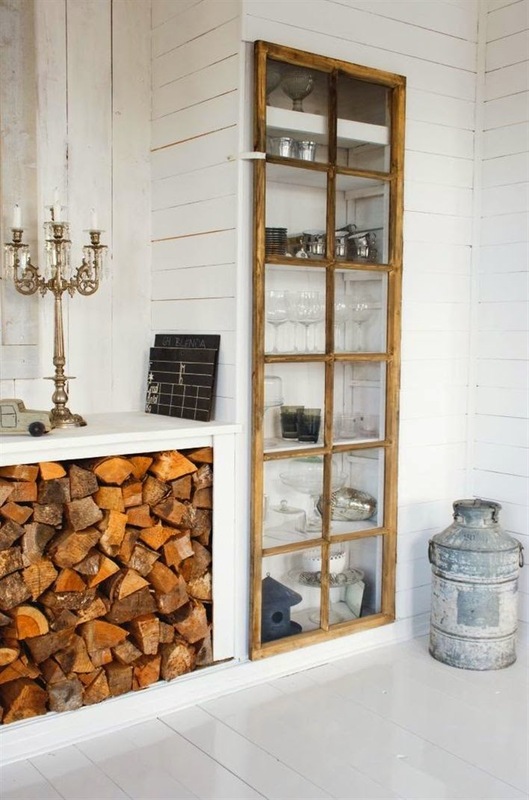 Today I wanted to share some inspiration photos I've been collecting on Pinterest of different ways to display stacked wood in decor. I favor a neutral palette in my home. And one of the key ways to make a neutral palette interesting is to introduce texture. A lot of texture. 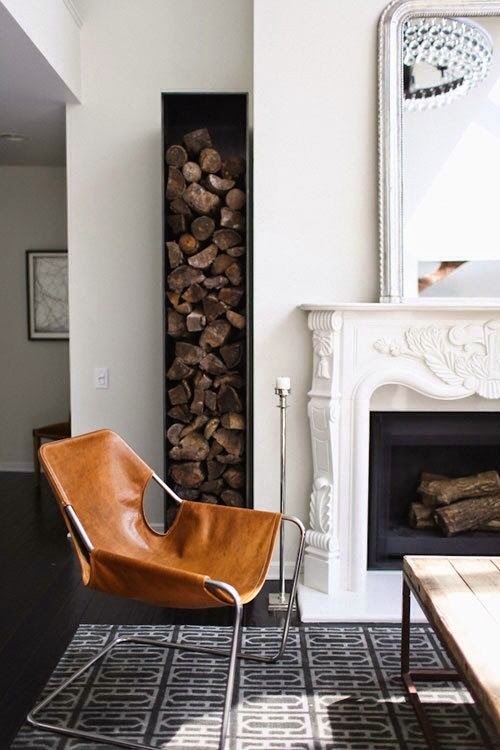 I've been enamored with the look of stacked firewood in houses and have longed to incorporate the look in my own home. Problem is I don't have a fireplace. Ah, but these photos have given me an idea which I'm going to share with you all soon. 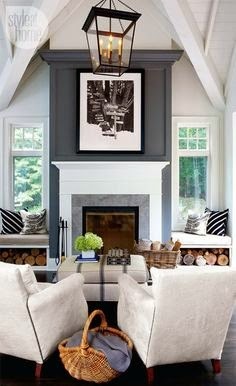 Fireplace or no fireplace...I am getting this look in my home. That wood stacks gives a lot of memories of our winter. In South Africa we are celebrating spring and soon summer will be here. 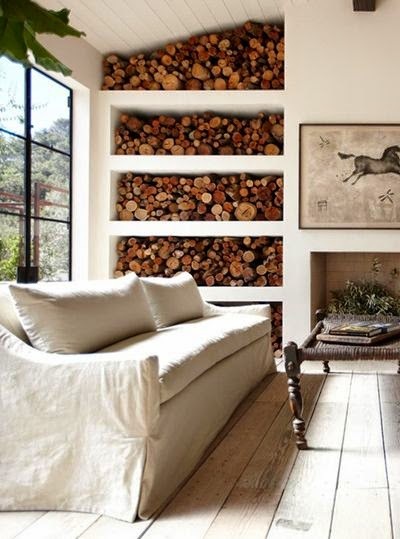 Just seeing these stacks of firewood makes me warm inside! 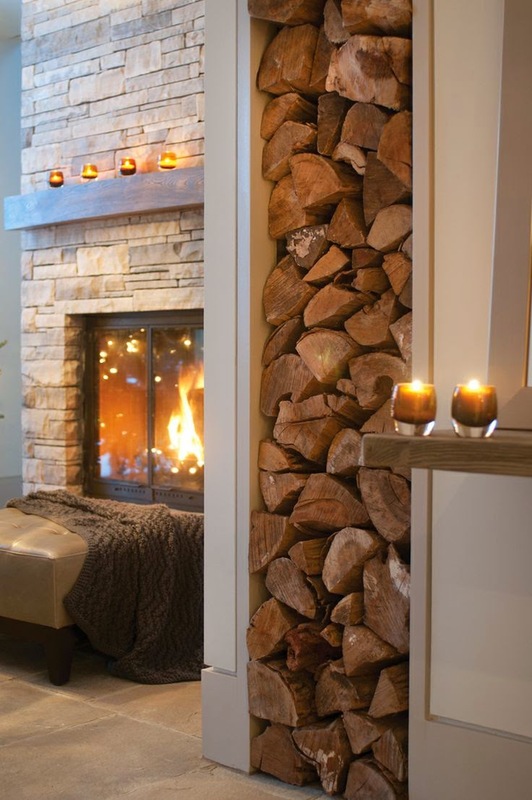 They definitely add warmth to a room, these are beautiful ways to keep store firewood.